Defend your eyes in battle with Siege-HotS. Armed with feather-light high tensile, low carbon steel frame and interchngeable Socets of your favorite Hero, the Siege has a wider fit style for larger faces. 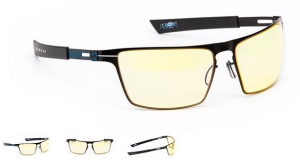 Sleek styling, adjustable silicon nose pads, and ultra-slim temples make this frame the ultimate battle weapon for any gamer.